The Jayhawks and their rootsy sound were definitely swimming against the tide when they emerged from a crowded Minnesota music scene in 1985. Over the course of two decades, 9 albums, countless memorable live shows and enough personal drama to fill a couple of Behind the Music episodes, this beloved band soared to heights few ever achieve while winning the hearts and minds of numerous critics, fans and peers in the process. After releasing two Indie albums in the 80s The Jayhawks signed with American Recordings in 1991 and over the next decade released 5 challenging, at times groundbreaking, albums, toured the world to widespread acclaim and even survived the departure of founding member Mark Olson in 1995. After a hiatus in the mid 2000s, the “classic” 1994 lineup reunited for another new studio album in 2011 and 2 years of solid touring, reacquainting audiences old and new with the band’s timeless musical vision. 2014 saw a late 90s version of the band led by Gary Louris hitting the road to support the reissues of the 3 Jayhawks albums released from 1997-2003. This lineup released the band’s 9th studio album in 2016, recorded in Portland, OR with producers Peter Buck and Tucker Martine. 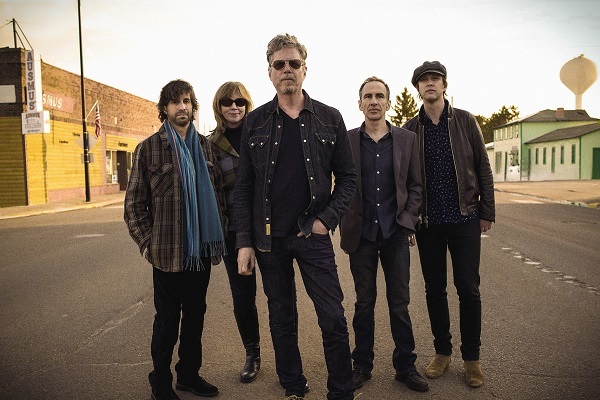 The band’s new studio album, Back Roads And Abandoned Motels, was released in the summer of 2018, featuring Jayhawks versions of songs Gary Louris had previously written with other artists plus 2 new compositions.